For children who struggle to maintain good oral hygiene with a manual toothbrush, an electric toothbrush can be extremely helpful. Here, we discuss some of the reasons that electric toothbrushes are such useful dental hygiene tool – especially for kids. There’s no contest; between electric and manual toothbrushes, electric brushes are the clear winner when it comes to efficiently and thoroughly cleaning teeth. The whirring bristles remove plaque better and faster, and their design makes it much easier to clean those hard-to-reach places, like the backs of the molars. If your kids are lazy brushers with manual brushes, electric toothbrushes are a great choice, since they require a lot less work for a really good clean! This is a bit counter-intuitive; you’d think the fast whirring motion would mean that it would be much harder to brush gently with an electric toothbrush. But the fact is, with an electric toothbrush, it’s really quite easy to be gentle, since you’re not actually making the brushing motion yourself. You're simply guiding the toothbrush lightly along the surfaces of your teeth, and letting it do all the work. For children who are very young or who have dexterity issues, manual toothbrushes can be quite tricky to get a hang of. Electric toothbrushes have bigger handles, making them easier to grip. And again, the electric toothbrush does the actual brushing work itself, so your child can simply guide it around his or her mouth for a good, thorough clean. While you may know that you’re supposed to brush your teeth for about 2 minutes during each oral hygiene session, it’s hard to tell how long that actually is if you don’t have a clock in front of you. Most electric toothbrush models have timers built right in that go off after two minutes, making it a no brainer. 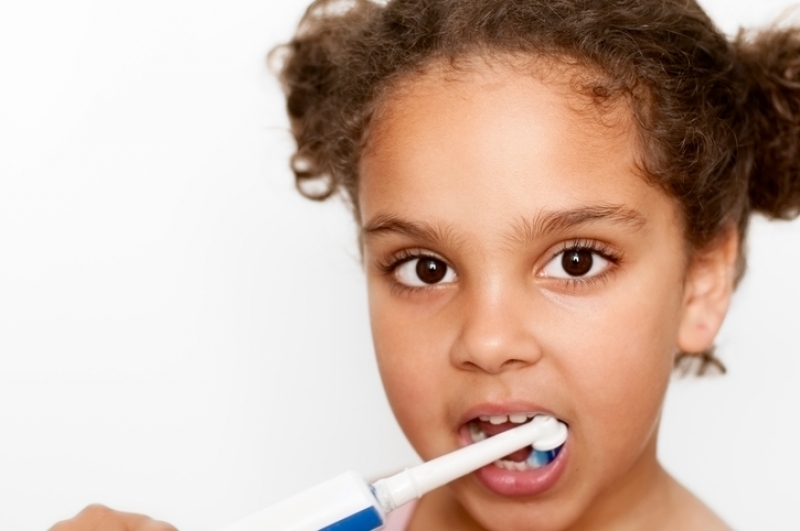 If you think your child could benefit from an electric toothbrush, but you still have some questions, we can help! Contact SmileTown North Delta today.